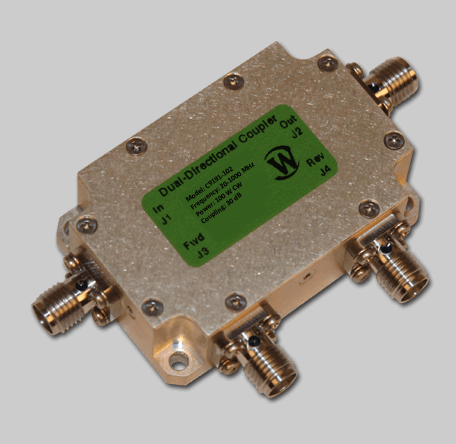 Werlatones patented 30 dB Dual Directional Coupler, Model C9191-102, is the latest addition to our growing family of 20-1000 MHz products. This design will operate continuously, at a rated power of 100 W CW, into a 3:1 VSWR. Measuring just 1.76 x 1.16 x 0.57 and weighing only 1.4 ounces, the C9191-102 incurs only 0.7 dB of insertion loss. Designed for military and commercial applications.